Regulators control the temperature of a oven or stove plate by switching it on and off. This is done by means of a bi-metal strip that makes contact points open and close on set periods. 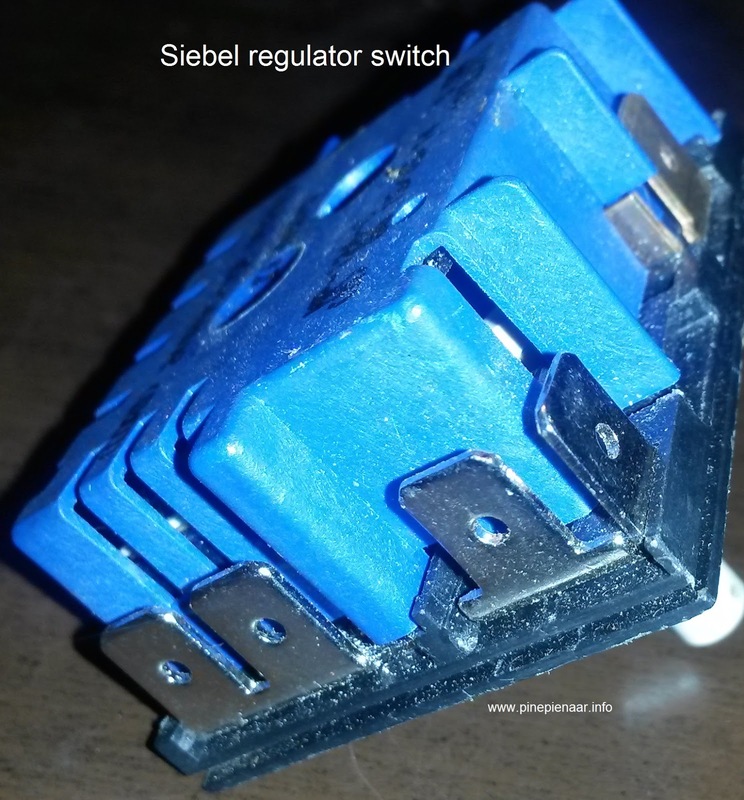 Siebel Energy Regulator is an Infinite switch that turns electric stove plates/ elements/ burner on and off. By turning the rotary knob to various setting it controls the temperature of the heating device (stove plates). 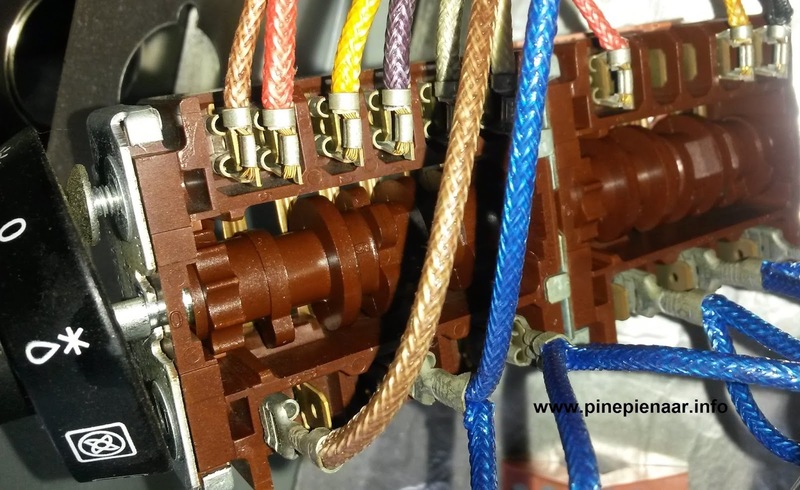 Inside the Regulator is a bimetallic strip that heats up when electricity passes through it. After a few seconds the bimetallic strip bends (warped) causing a spring-loaded control to open (cutting the power flow). Once the power is cut the bi-strip starts to cool down then returning to its original position (Shape). When the bimetallic strip is back in its original shape the whole process starts over again. The abovementioned mechanical actions is done on very petite scale and it cannot handle the heavy current of a stove plate or heating-element. The simmerstat (fancy name for regulator) needs the help of contactor or a more robust spring loaded switch that mirrors the actions of the little guy mention in the first paragraph. Now who says the little guys has no control? Mechanical switches/regulators generate a spark (arcing) everytime it make contact or switches on/off which can cause interference on a radio and electronic gadgets. However if this situation should ever occur it is easy-peasy rectified, with the help of suppressors. Manufacturers use the seibe regulator because its reliable switches at a cheap price. Defy appliances use them in most of their cooking appliances. The range or element stay on all the time and overheat. The element unit does not turn-on at all. I hope this has given your a better insight to the operation of your cooking equipment. Should you require more information feel free e-mail or leave a comment below. One of the most common area people forget to clean is behind their washing machine and dishwasher. Most machines are build into a cupboard or undercounter which has minimal ventilation and no sunshine. Ideal conditions for Nasty Bacteria and Odors. To eliminate the stinky odors around your dishwasher and washing Machine doesn't have to be an expensive exercise by use-ing dangerous chemicals. The following cleaning recipe is effective - cheap because you don't have to buy expensive ingredients it's all stuff you are already using in your kitchen. Pour everything into a bowl or spray bottle, shake till salt and baking powder are completely dissolved. One of my senior clients squeeze a complete lemon into the mixed because she likes the smell of lemons. The antiseptic properties of salt will remove the stickiness in no time and unclog the drains. Feel free to contact me if you should need more information. New Refrigerators almost give the impression that their mechanical flaw's was done by design. Refrigerator appear super modern with their stainless steel or pastel finishes, the digital and led's lights make one as if feel you have arrived. But sadly most refrigerator manufactures has actually gone backwards in the way their cooling system are build. Galvanising is most probably one the best ways to protect steel from the elements. 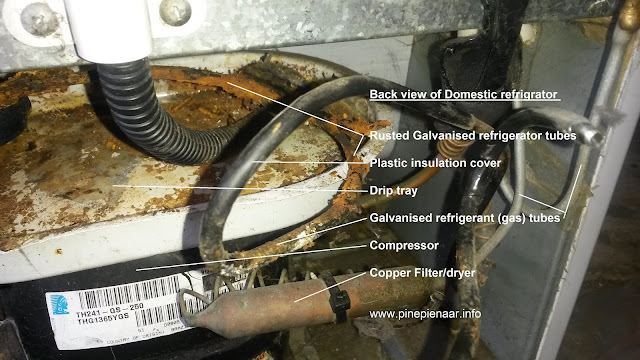 Unfortunately galvanising is not a permanent solution to protecting gas tubes in a refrigerator against rust. Yet most fridge manufacturers choose to use it in the refrigerator manufacturing process. Manufactures like Defy appliances and Samsung actually build their refrigerators in such a way that the fridge galvanised gas tubes will come into contact with water in some stage of the cooling process. As you can see from above picture the manufacture cover the new galvanised gas tubes with black plastic in the hope to delay the deterioration of the rust-effect on the steel tubes. By covering the gas-tubes with plastic it is suppose to prevents water/moisture from coming into contact with the metal moisture. Unfortunately this coverup is only a short term solution because the plastic cannot handle the temperature variation from the refrigerator gas and starts developing hairline cracks. When moisture enter into these cracks it becomes an ideal area for water and oxygen to do their thing. The plastic prevents the water from evaporating again and also there are sufficient oxygen to start the oxidation process. Most of the time these defects are so well covered up that the average consumer never realize that they are actually buying bad designed fridges. The big side-by-side are the worst because most of them has their gas tubes running into the drip-tray to help with water evaporation. Suggestion; If you are going to purchase a new refrigerator ask the salesman if the refrigerator gas tubes are running into the drip-tray and if it does just walk way. I hope this has given you some perspective on why Refrigerator fail by Design.